Military personnel on active duty can request a Georgia driver's license/ID card renewal through the mail. The same privilege is also extended to a military person's spouse and any licensed dependents or ID card holders living with the person who is on duty in a foreign domain or in a state other than Georgia. Complete Information and Instructions for Mail-In Renewals. Georgia law allows a six-month grace period for a service member whose Georgia driver's license expires while he/she is on active duty outside the State of Georgia. This grace period is not added to the expiration date. If the service member's lciense is not a GA Driver's License, this provision does not apply. The service member should contact the issuing state for more information. Service members are allowed to drive in Georgia on an expired Georgia driver's license for six months after the date he/she is discharged or reassigned back into the state. They are exempt from being cited for driving with an expired license. If cited, a copy of the official military orders or a written verification signed by his/her commanding officer must be brought into a Customer Service Center and a waiver will be issued. Qualified Veterans are eligible for a free driver's license. The free driver's license can be issued for regular or long term. 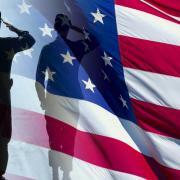 Qualified Veterans must submit an original Certificate of Eligibility (DS-516), approved by the Georgia Department of Veteran Services. Customers age 64 and old are required to take and successfully complete an in person vision screening at each renewal period. The spouse of a disabled honorably separated veteran who does not have a driver's license or the unmarried spouse of a deceased honorably separated veteran is entitled to the same driver's license available to the veteran. Applicant must submit an original Certificate of Eligibility (DS-516), approved by the Georgia Department of Veteran Services. To obtain the Certificate of Eligibility (DS-516), submit the following documents to the State Department of Veteran Services. Applicant must be a resident of the state of Georgia, either at the time of entry into service or at least 2 consecutive years preceding date of application. UNMARRIED SPOUSE – Present the death certificate of deceased spouse with the separation papers (DD-214). *Activation for training purposes does not qualify an individual for a Georgia Veterans Driver's License. All members or former members of the Georgia National Guard or reserve forces, who have 20 or more years of creditable service, are entitled to a free veteran's license by submitting a document of certification stating the applicant's eligibility. The Certificate of eligibility must be obtained from the Adjutant General of the State of Georgia and brought into any Customer Service Center to have a driver's license issued. A distinctive driver's license can be issued to any member of the Georgia National Guard in good standing and who has completed at least one year of satisfactory service by submitting a certificate of eligibility (DS-318). This driver's license is renewable during the time of service in the National Guard or until 20 years of service has been obtained which entitles you to a Veteran's License. The Certificate of eligibility (DS-318) must be obtained from the local National Guard Commanding Officer and brought into any Customer Service Center to have a driver's license issued.